As a yoga teacher, my students are always asking me to include more hip openers in my classes, and I get asked more about hip openers on social media than any other yoga pose. That’s why I’m so excited to be offering a free webinar with wonderful yoga poses to help you open up your hips. 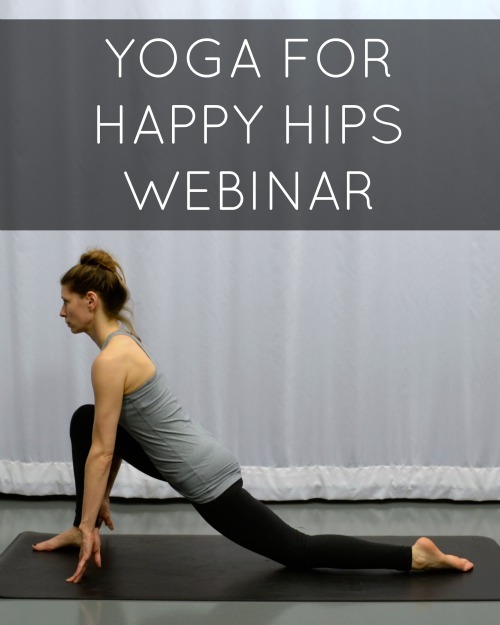 It’s perfect for anyone with tight hips, whether you’re an athlete whose hips are tight from your workouts (looking at you, runners) or you sit at a desk all day, this webinar will be perfect for you! During the webinar, I’ll walk you through my favorite poses to help open the hips, with modifications for tight hips. You’ll be able to ask any questions you may have about the poses, too. As an added bonus, webinar viewers will receive a link to download a FREE VIDEO walking you through a hip-opening yoga sequence, as well as a discount code for my February 1st Yoga for Runners Online Program and Online Yoga Bootcamp. I’ll be offering the webinar twice in January, once on Monday, January 25th at 7:30 pm CST and once on Wednesday, January 27th at 2 pm CST. If you’re unable to watch the webinar live, definitely still sign up! I’ll provide you with a link to watch the replay.